Welcome to my TubeBuddy review! Before we get started, let me make a bold claim, After you have read my TubeBuddy review, you will install TubeBuddy and you start wondering why you haven't started using it before! 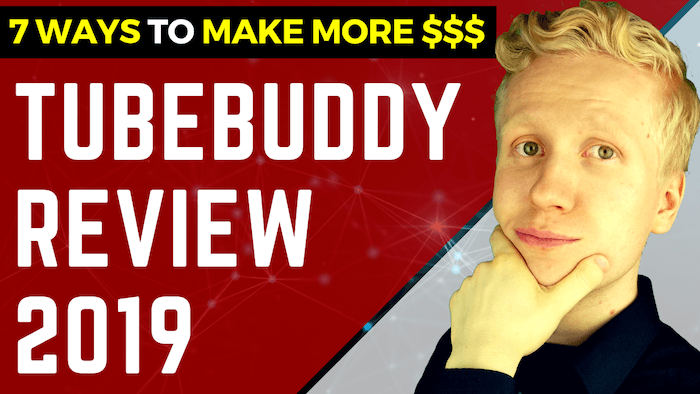 In this comprehensive TubeBuddy review, I am going to show you 7 practical ways how TubeBuddy has made me more money on YouTube. TubeBuddy has 10's of benefits and features that help you to make more money on YouTube and grow your channel. I recommend checking out all the benefits yourself on TubeBuddy.com. The only regret that I have is that I didn't start using TubeBuddy before. During the first day of using TubeBuddy, I realized one thing that has already made me probably $1,000's in revenue. Now have a look at my quick summary of TubeBuddy and then I'll reveal you the 7 ways how TubeBuddy helped me to earn more. Summary: TubeBuddy is the most famous and used tool for YouTubers. It helps you to grow your YouTube channel faster and more easily. It's already used by more than 1,000,000 YouTubers and I am one of them. Also the most successful YouTubers that I personally know are using TubeBuddy and recommending it to others. Is TubeBuddy Recommended? 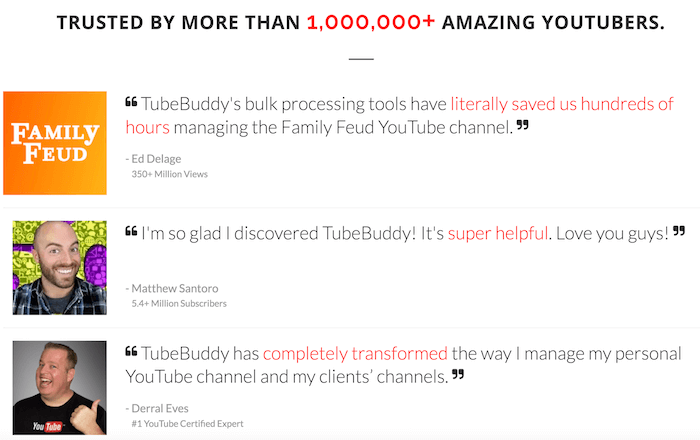 Yes, TubeBuddy is our #1 recommended tool for all YouTubers. During the first day of using TubeBuddy, I learned something that has paid me already $1,000's (if not $10,000's) in revenue. 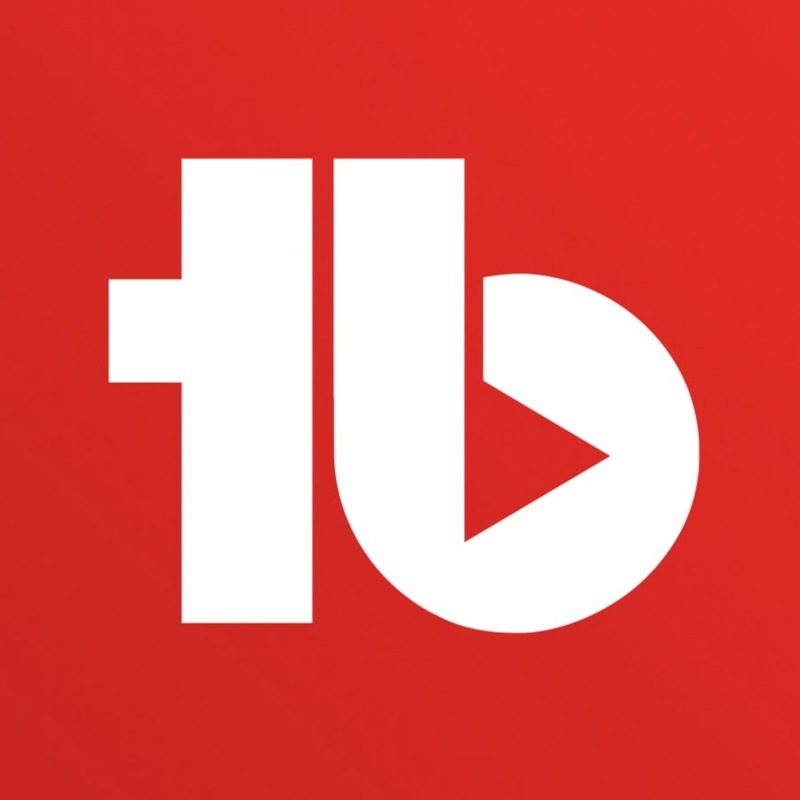 TubeBuddy is the most well-known tool for YouTubers who want to grow their YouTube channels and it's currently used by +1,000,000 people all around the world. They provide you 10's of amazing tools that help you to make more money on YouTube and have a bigger impact through your videos. YouTube helps you for 100% sure to grow your YouTube channel faster. That's why I highly recommend that you start using TubeBuddy today for free. TubeBuddy helps you to grow your channel, get more views, make more money on YouTube and have a bigger impact through your videos. As I mentioned above, TubeBuddy has 10's of tools that help you to make more money and succeed on YouTube.com. If I would go through all of them, this article would be +10,000 words long. I don't want to hold you here for so long so I have decided to share with you 7 practical and easy ways how TubeBuddy has helped me to earn more money. These are basically 7 ways that quickly came to my mind regarding TubeBuddy. Some of these things have made me $1,000's while others have helped less. Anyway, my point here is to prove you that TubeBuddy really helps you to succeed. I was thinking about starting to use TubeBuddy also before but I didn't. Now the only regret that I have is that I didn't start using it earlier. By the way, if you are not familiar with my channel before, I recommend checking out my YouTube channel here and subscribing especially if your goal is to make more money online. I help people with my weekly videos to maximize their income online and getting started with their online businesses. (BONUS) Act of Payment Created a Sense of Commitment. Now I'll quickly go through each of them one by one in the following chapters and explain what they mean. In this chapter, I will go through with you each of those 7 TubeBuddy benefits one by one. Still, I want to remind that there are 10's of other benefits as well but I just wanted to share these ones because they came to my mind first. 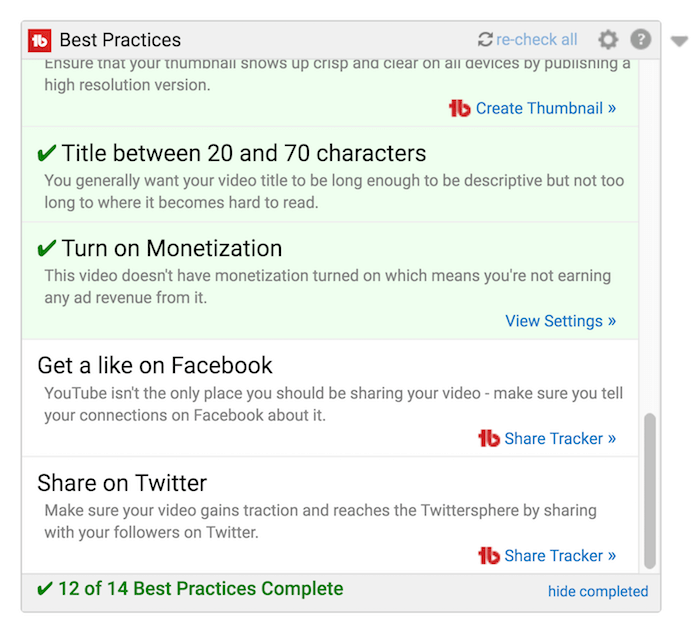 When you have installed TubeBuddy Chrome Extension, it will show you always a practical checklist of 13 things that they recommend to do with all of your videos. This checklist serves very well for you for a couple of purposes. First of all, it helps you to set the good habits after publishing a new YouTuber. Even if you have already been a YouTuber for a longer time, this checklist serves you well as a reminder that you surely do the right things after publishing each new video. When i started using TubeBuddy, I realized that I hadn't been pinning a comment for my new videos. TubeBuddy reminded me to pin a comment and I saw that I had left tons of money on the table because I hadn't been pining it before. Now I do it always and this one simple act alone has already made me $1,000's if not $10,000's in revenue for using just a couple of minutes after publishing each video. Many people scroll to the comments and now I can always leave there my link to a relevant resource which will add value to my viewers and money to my pocket. If you want get TubeBuddy's checklist to your YouTube channel, just install TubeBuddy for free today. When you have installed TubeBuddy, it will show you the most recommended tags to your video. It makes setting tags easier and faster. 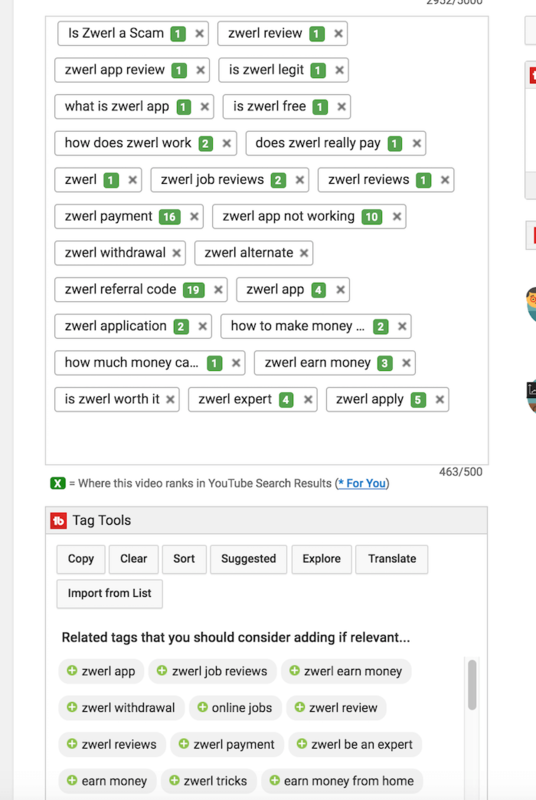 I use myself always all the 500 characters of tags to rank under as many keywords on YouTube as possible. TubeBuddy will show you the suggested tags that people are already searching for on YouTube. Let's say for example that I create a video where I teach people how to make money online with affiliate marketing. Then I type on tags "How to make money with affiliate marketing" and TubeBuddy starts suggesting me all kinds of relevant keywords and tags that real people are already searching on YouTube. 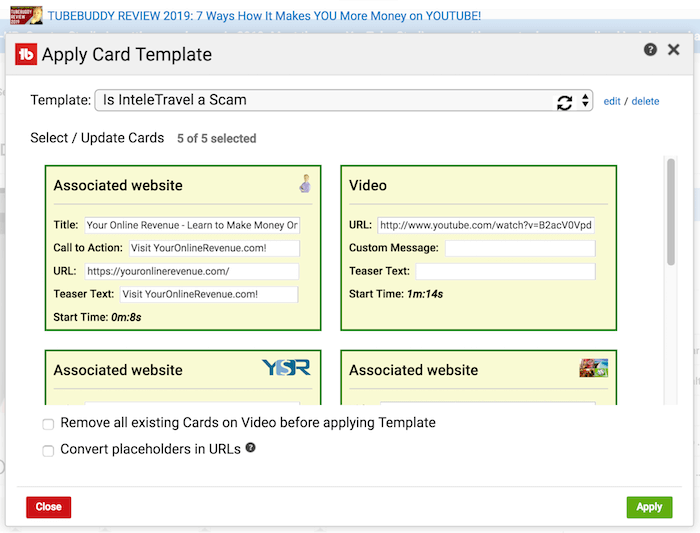 This feature helps you to quickly check that all your videos are monetized. YouTube demonetizes quite often my videos and it requires me to manually ask for the monetization again. If I don't notice that the monetization is gone, it will be gone forever. 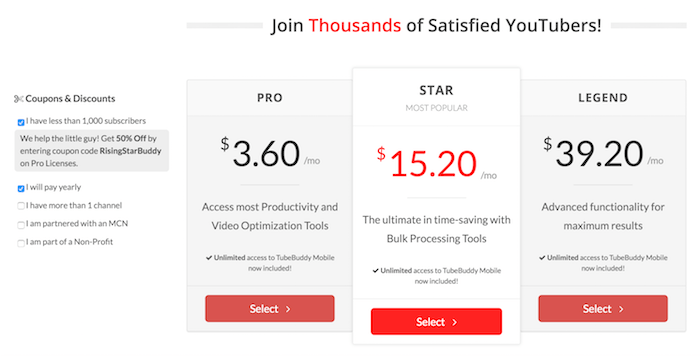 TubeBuddy's monetization checker helps you to check it out with just 1 mouseclick. Of course if your channel is small, YouTube ads won't make you much income yet and in this case this may not may not play so big role. That was also the situation in my case. If you are aiming to make big money on YouTube, I highly recommend and underline that YouTube ads should never be your primary way of monetizing your videos. There are tons of ways how you can make money on YouTube as I explained and showed you in the following article: “Can I Make Money on Youtube?” – Here Are 6 Ways with a Plan of Action. I was publishing many similar videos to my YouTube channel. I noticed that I also added the same end screen manually. Wouldn't it be much easier to add the same end screen with just a few mouse clicks? That's what End Screen automation tool helps you to do. 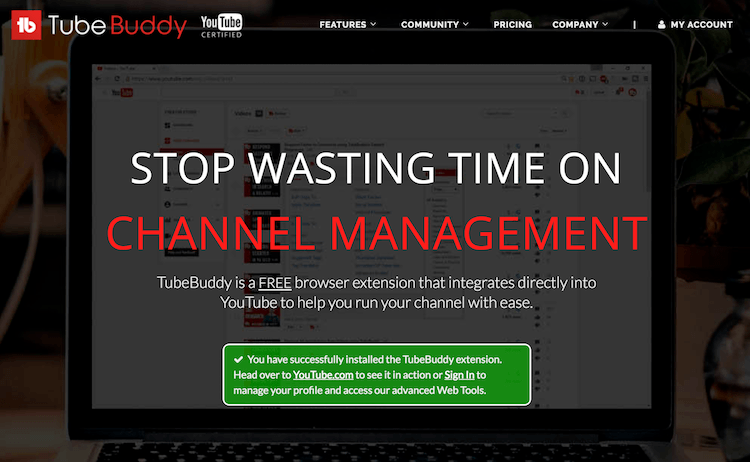 In fact, there are lots of different automation tools within TubeBuddy that will in total help tons of your time. Another of them that I use regularly is Card Automation. I recommend that you add relevant cards to all of your YouTube videos. What are those cards? They are relevant messages that pop up on the upper-right corner of your videos with that "i" sign. Cards in some sense add more value to your readers and make it also easier for you to monetize your traffic. You can drive more people to your offers and promotions and to related videos. That being said, I don't hugely focus on cards but it's a nice extra. These Card Automation and End Screen Automation are just 2 out of many automation tools within TubeBuddy that help in total 100's of your time and $1,000's of your money. Anyway, the tools they provide are extremely cheap compared to the money they'll bring to your pocket if you use them right. TubeBuddy has already saved me tons of money and time! If you have watched my TubeBuddy video, I showed you that it has saved me already approximately $17,800 through various features and benefits that it provides. Of course, this is only an estimation and the actual number may be higher or lower. 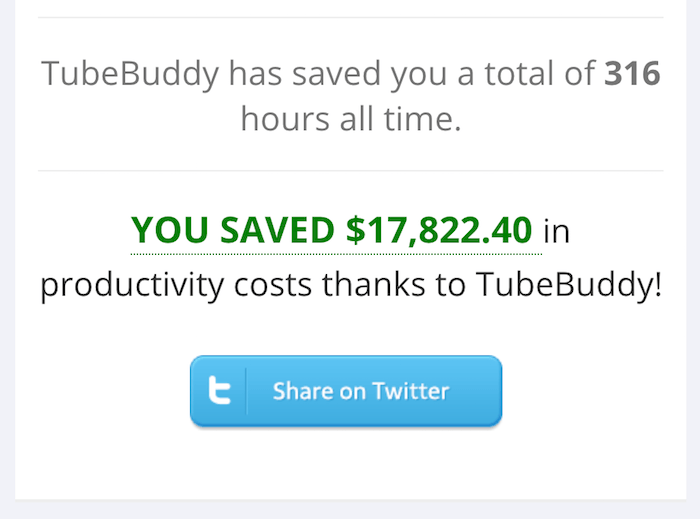 But even if it would only be 10% of that amount, it still means that I have saved $1,780 with TubeBuddy and tons of my time. And keep in mind that I only paid around $15,20/month for TubeBuddy Star version. I also recommend that one for you. The free version of TubeBuddy is great but the paid versions are even better and they provide you even more value. TubeBuddy provides also a mobile application that shows you many different statistics regarding your YouTube channel. This is a little bit different one that YouTube's own Creator Studio and it provides some additional value to you. You'll see many different statistics and numbers that help you to evaluate the progress of your YouTube channel. These statistics also help you to build your channel even further. Not only that... I've noticed that these features give me more motivation to keep on pushing forward and developing my channel. Many successful business coaches including Tony Robbins (probably the most famous one) says that success in anything is 80% psychology and only 20% strategy. That also applies to building your YouTube channel. If you have your mind right, you'll succeed on YouTube. When you have the motivation, desire and the drive, you'll do whatever it takes. But if you don't have the drive, you'll quit quickly. That's also the reason why most people fail on YouTube and in life in general. They don't have enough motivation or reasons to keep on going to follow through. ANYONE can succeed with YouTube using TubeBuddy. However, not anyone will because they just quit too early or get discouraged if they don't get the results right away. That also brings us to my last point which is a BONUS tip for you. All the free information that you have available on the Internet is worth $1,000,000's if not $1,000,000,000's of dollars. But why all of us aren't millionaires? There are may answers to this question but one of the reasons is that people don't value free stuff so much than what they've paid for. If you pay for something, it also commits you to taking action. Automatically, your mind starts thinking, "Now I have paid for this, I must use it. I must take this seriously now." That's why the wise people say that the act of payment creates a sense of commitment. When I invested some money in TubeBuddy (even though their paid versions are quite cheap) I felt the sense of commitment. Always when I have bought some tools that help me to grow my online business further, it motivates me at some level to move forward. Nobody wants to throw money here and there so when you buy something, you are more likely to take action based on your buying decision. I think that this is not the first reason that comes to your mind when you think about upgrading TubeBuddy from free to premium but I recommend keeping this in your mind also. Even though TubeBuddy is probably the best tool for YouTubers, it's also very affordable. You can get the Pro plan starting from $3,60/month which is amazing. I am personally using TubeBuddy Star plan and I also recommend it to yourself. FREE and PRO plans are already amazing but based on my analysis, Star plan provides a lot more features and it's certainly worth throwing a couple of more bucks for that. Legend Plan is, in my opinion, the best for those who have already at least 50-100k subscribers. It allows you to do more extensive competitor research and also A/B test different things like Video Titles. If you have a small channel, let's say, less than than 10k subscribers, it doesn't make so much sense to up do A/B testing with the titles. You need more views that Pro and Star plans certainly help you to get. A great thing is that you can start using TubeBuddy today for free through this link and see in action how it works. I know a couple of huge YouTubers personally and they ALL recommend TubeBuddy. In fact, everyone that I have met who is using TubeBuddy, also recommended it to others. That's pretty impressive and shows that it's really providing a huge value to its users. Below you can see a couple of examples how some famous YouTubers with 1,000,000's subscribers and 100,000,000's of views are also recommending TubeBuddy. All successful YouTubers are recommending TubeBuddy. I always like to think about causalities (the relationships between cause and effect). Is there a relationship between the usage of TubeBuddy and success on YouTube? In the other words, are those YouTubers who use TubeBuddy more successful than those who don't use it? If those are the things that you would also want for your YouTube channel, I highly recommend starting to use TubeBuddy today. In order to provide you with the most comprehensive and helpful TubeBuddy review, I also decided to record for you a TubeBuddy video where I show how it helps me (and you) to make more money. At the beginning of the video, there is a 2-minute explanation about the background so if you want to go to the tutorial part, you can jump right away further or just watch the whole video from beginning to the end. I'm sure you'll find this video helpful and valuable if you want to start making more money on YouTube! TubeBuddy Negatives - Is There Something to Improve? Honestly, even though I was thinking hard, I didn't really come up with the ideas how TubeBuddy could be improved. They have 10's if not 100's of people all the time improving their tools and making TubeBuddy better and it's even constantly evolving. I think that the only way how TubeBuddy could have any negative effect is if you start playing around too much with some of their fancy features and you lose your focus from the most important things which is creating new videos and providing value to your audience. Other than that... It's honestly hard to think anything negative about TubeBuddy. It's just so great tool. You get 10's of people's work and effort to improve your YouTube channel for free or for a couple of bucks per month when you're using TubeBuddy. Conclusion - Is TubeBuddy Worth It? I think that the answer to this question is pretty obvious. You can start using TubeBuddy for free so you don't even need to spend a single penny. It's easy and fast to get started. It takes probably just 30 seconds and you're already using it. Are TubeBuddy paid versions worth it? Definitely yes! I am personally using at the moment their Star Plan and I warmly recommend it to you as well. Keep in mind that you can start with TubeBuddy free version as well and upgrade anytime when you want to take your YouTube channel to the next level. What kind of experiences do you have with TubeBuddy? Are you already making some money on YouTube? Would you like to make a full-time income or even a fortune on YouTube?